It was a love fest at Motor Row Brewing for Holle Thee Maxwell's 71st Birthday Bash with the Original Chicago Blues Allstars. But what else would you expect from a blues diva whose signature line is Love Is? 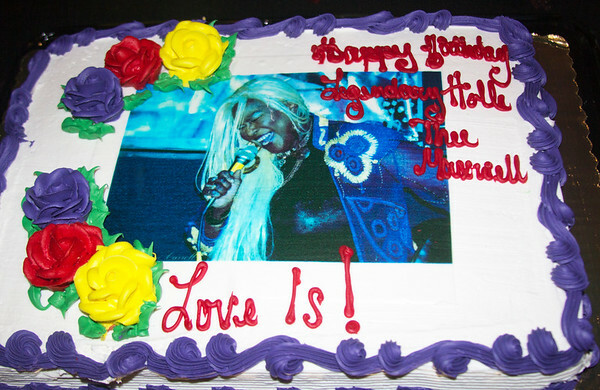 Some of the guests who joined Holle to celebrate her birthday included Cookie Taylor (Koko's daughter), singer Deitra Farr, guitarist Tre Banks, singer Lady Kat, entrepreneur W.L. Lillard (founder of Star Planet Enterprises), singer Sherman Moody Thomas and 101-year-old dancer Lester Goodman, a legendary performer who was a co-founder of the highly respected Joseph Holmes Modern Dance Company.